The demonstrative actions of the LIFE WIRE project, including the operation and optimization of the UF-CNM-RO prototype will take place in the existing Wastewater Treatment and Water Reclamation Plant of Baix Llobregat. 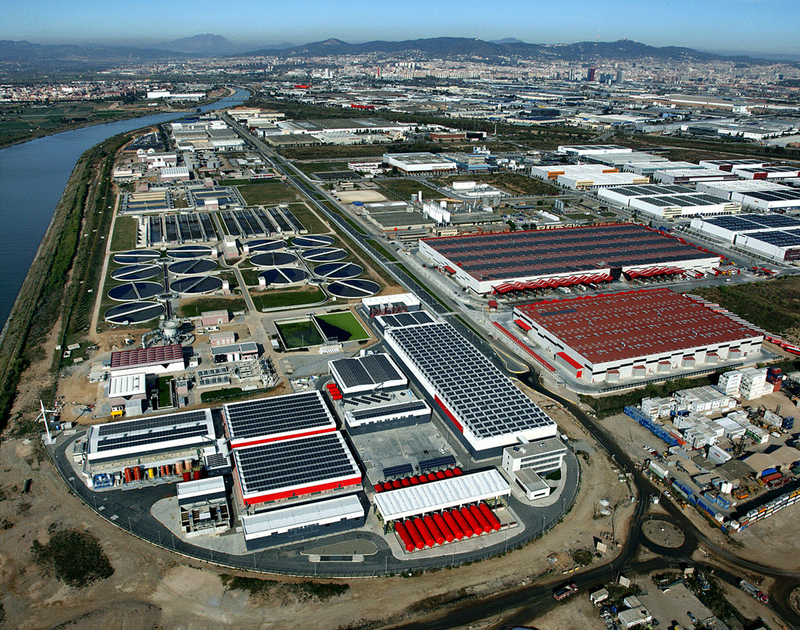 The reclaimed water produced by the WWTP of Baix Llobregat will be further treated to fulfill the industrial quality requirements for its reuse. 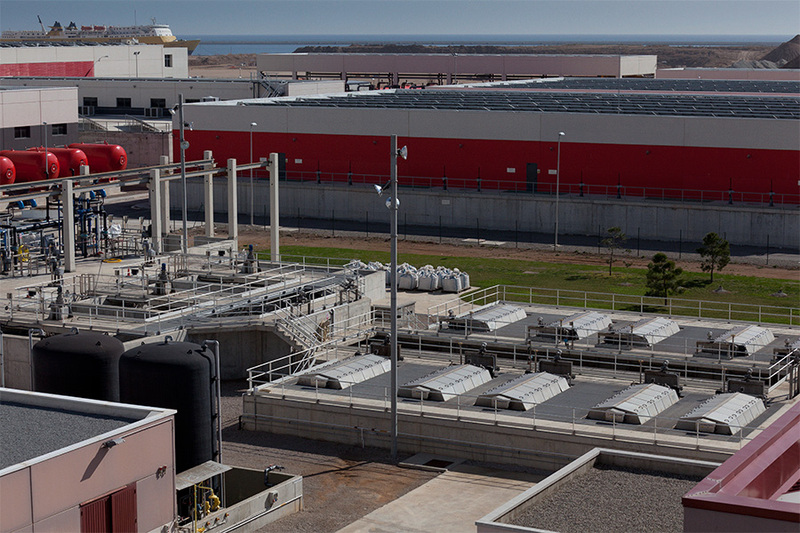 El Baix Llobregat WWTP, with a design capacity of 3.25 m³/s, consists of a conventional scheme comprising primary clarification and an activated sludge biological treatment for organic carbon and nutrient Removal (N & P) followed by secondary clarification. 1. Two regulation basins and a total of 4+1 lift pumps with a unit flow of 3,150 m3/h. 2. Three sedimentation units, each unit consisting of a 90 m³ coagulation tank with PAC injection, a 90 m³ sand and anionic polyelectrolyte injection tank, a 198 m³ maturation tank, and a clarification basin with a surface area of 42 m². 3. Ten microfiltration rotary disc filters with 10-µm mesh. 4. Four ultraviolet light (UV) disinfection channels with a total of 216 lamps per channel arranged in two banks per channel. 5. A post-disinfection with sodium hypochlorite and oxygen saturator. The water treated by this process has a “basic quality” that allows reusing it for several applications including maintenance of ecological flow and wetlands maintenance as well as for industrial and municipal water reuse.